Why do we need to save water in Katherine? In Katherine, it is important we all work together to ensure our water sources remain safe and reliable. Power and Water's Living Water Smart program is helping the community reduce water use to keep reliance on the use of bore water to 10%, the maximum amount that can be treated each day to remove PFAS. The community has done a great job so far and we need to keep it up! Find out more to help you save water in Katherine. On average, leaks are wasting households around 300 000 litres of water amounting to about $580 per year! 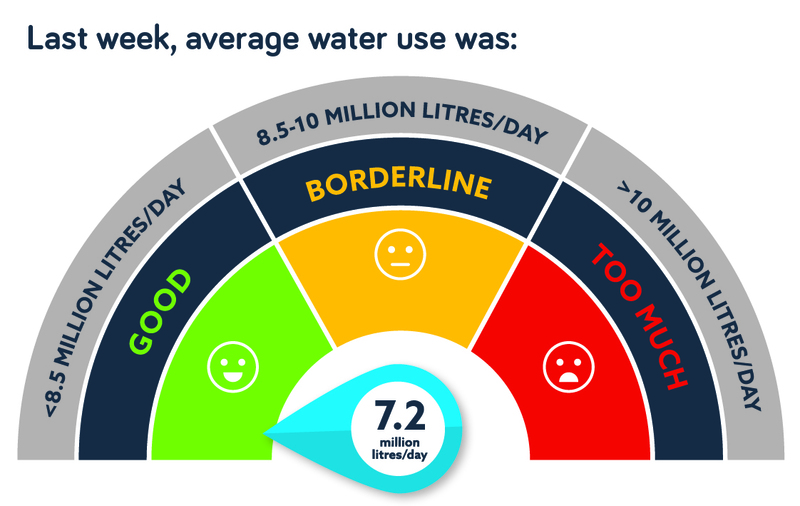 A whopping 57% of household water use is in the Garden! Any commercial operation, business, government or not for profit organisation in Katherine is eligible for a free Water Use Health Check with Living Water Smart.